Congratulations to all the children on a fabulous celebration of sport. WATER 1st 41 points; FIRE 2nd 37 points; AIR and EARTH 3rd= 32 points. The Sports Day programme commenced with a spectacular acrobatic display choreographed and performed by Year 5 gymnasts, Emilia, Louis D, Fern, Katy, Shayne and Louis P. Other members of the class created circling ribbons in the 4 house colours to represent St. Andrew’s version of the Olympic rings. The infant children had a great time running, bouncing, skipping and jumping in their individual races. Then it was time for some teamwork in the relay obstacle races. Excitement mounted as the results were announced. 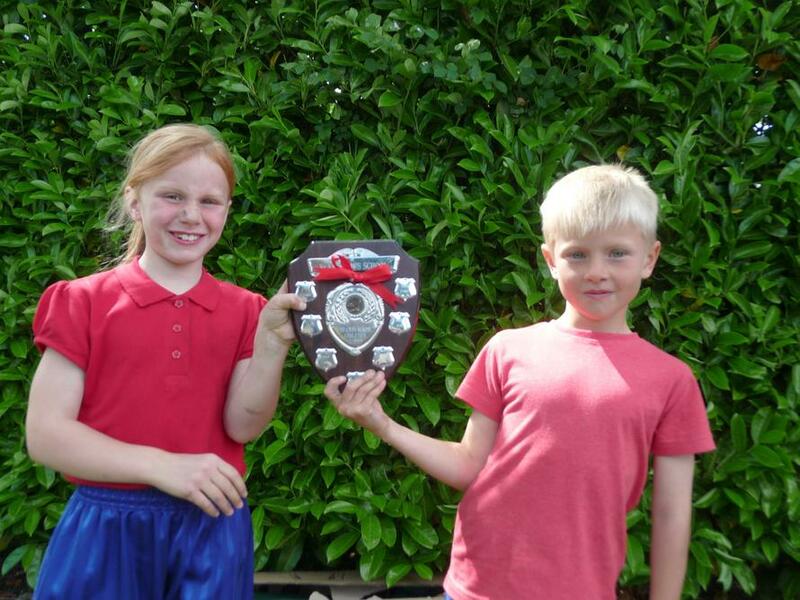 The Fire House Infant Sports Captains, Freia and Sunny, received the shield on behalf of their team. FIRE 1st 59 points; WATER 2nd 49 points; AIR 3rd 38 points; EARTH 4th 35 points. There was a great team spirit and a wonderful array of sporting talent in the junior races. The individual events concluded with a very entertaining circus race planned and performed by Year 6. The junior baton relay and the whole house hoop relay provided a gripping climax to the afternoon. It was clear that the final scores were going to be very close. 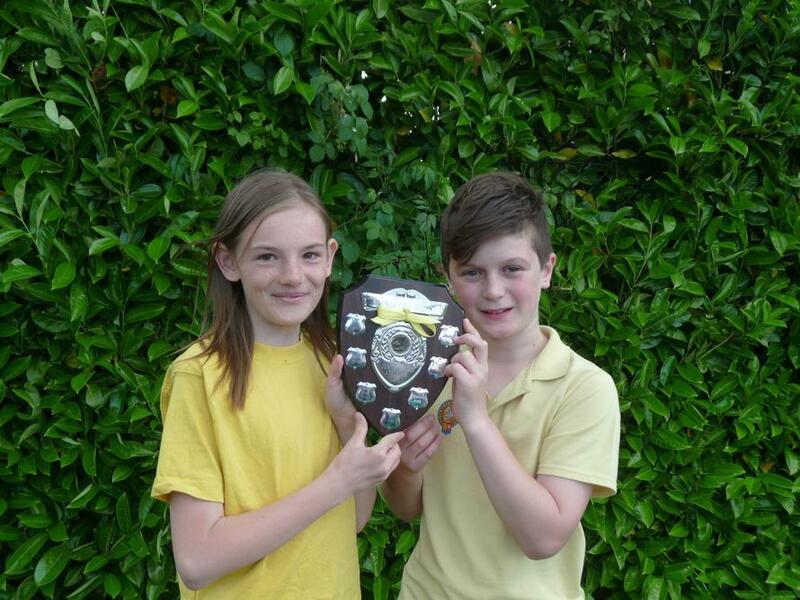 Earth House achieved one of their best ever results, but it was the yellow team who celebrated as the shield was presented to Max and Keira from Air House. AIR 1st 69 points; EARTH 2nd 63 points; FIRE 3rd 61 points; WATER 4th 53 points. A loud cheer went up from Fire House, a mixture of surprise, relief and joy. 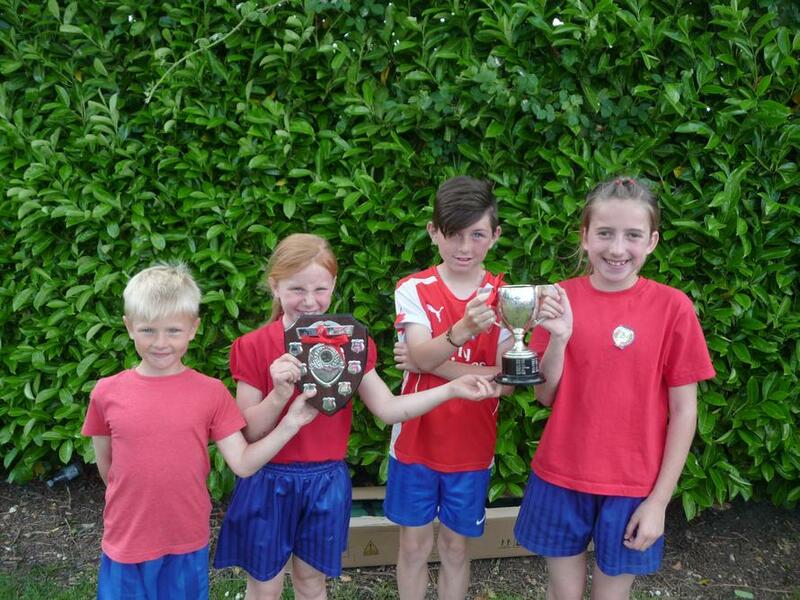 Ben and Millie, the Junior Sports Captains, together with Freia and Sunny from KS1 received the cup from Mr Hume.